The combined assault of sun, stress, pollution and dirt leads to several skin concerns like uneven skin tone, blemishes and dull looking skin. Women always desire flawless and radiant skin but seldom attain it. Our hectic day to day routine rarely permits us to spend extra hours on nurturing our skin. Your body is a result of what is going on inside it. Skin problems develop when your skin can’t do its job of eliminating toxins efficiently. Drink warm water with lemon every morning to help flush toxins from the body. Reduce your intake of alcohol for a few days to give your body and skin a break. Up your intake of fresh fruits, vegetables and water to boost the amount of skin-saving nutrients you're getting. Sleep affects your physical and mental wellbeing. When you sleep, you're allowing your body to begin the healing process. Good sleep directly leads to fresh looking skin. Try and hit the sack earlier than you usually do and you will see the result within no time on your skin. Leaving makeup and dirt on skin doesn't just clog pores but it also causes skin dullness. Always wipe off your make up and wash your face with a face wash to remove all the dirt and grime that your skin has collected throughout the day. Massage your face with a hydrating crème after you wash your face to help replenish your skin while you sleep. 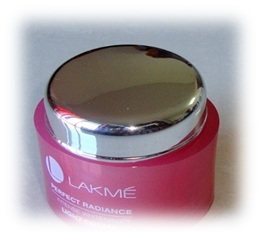 Try the Lakmé Perfect Radiance Intense Whitening Light Crème that gives your skin a splash of hydration, making it softer and more even toned over time. We know, you've heard it a million times, but stepping out of the house during the day without wearing sunscreen is like directly forcing your skin to dullness. Sunscreen not only prevents your skin from tanning but also keeps it moisturized and hydrated throughout the day. 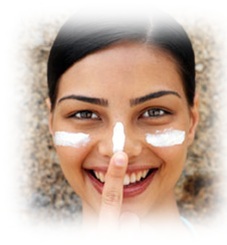 Applying sunscreen everyday helps your skin retrieve its natural moisture. And last but not the least, Keep calm and glow on!